The massive stone walls and warden’s house that make up the core of the Michener Art Museum today began as the Bucks County prison in 1884. After a century of use, the abandoned and antiquated buildings were being torn down when the County Commissioners agreed to preserve the historic landmark and lease the land and buildings to house the new museum. After extensive renovation, the museum opened to the public on September 15, 1988. 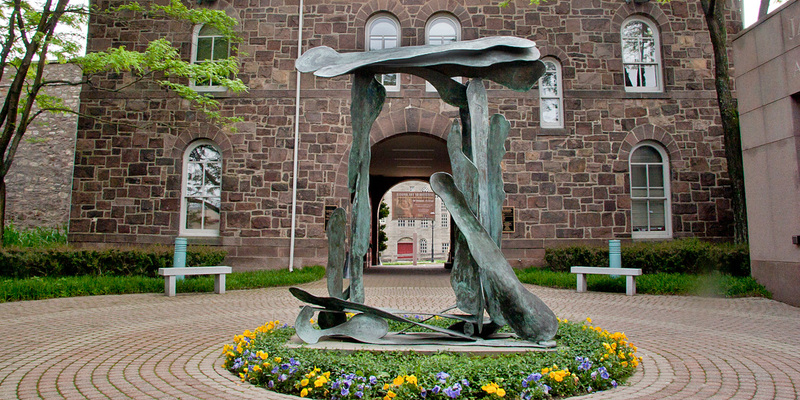 The Doylestown-based museum has 35,400 square feet of space, with a landscaped courtyard, an outdoor sculpture garden and terrace built in the original prison yard, seminar and conference facilities, a museum shop and café, and the George Nakashima Reading Room. The Martin Wing includes state-of-the art preparation areas and collection storage spaces. Today, the old Bucks County jail, once a place of fear and despair, has been transformed into a welcoming center of culture and beauty… guarding the artistic soul of Bucks County.